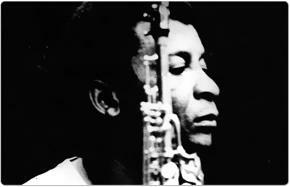 Did Mannenberg significantly alter the careers of Abdullah Ibrahim and his fellow musicians? "In 1983, his [Basil Coetzee's] musical career livened up with performances at several community benefit concerts, where he played with Robbie Jansen and other jazz stalwarts. He formed the band Sabenza (work) three years later. In 1988, he toured Europe, releasing his first album, Sabenza, in the same year. He also became a founder member of a music school, Musical Power for People's Power. "Coetzee's last few months were tough, both for himself and his family. Aside from the debilitating effects of his illness, he missed being able to play music that had been part of his life. And there was the perennial problem of trying to earn a living." "[Following Mannenberg, the musical, achievement of the gold and platinum status] I could not duck the impact Basil Coetzee was [then] making on an industry that was leaning towards pop. Basil Coetzee turned into a phenomenon and went on to do college and university jazz gigs, festivals and indoor concerts. He was larger than life." "[Robbie] Jansen became very ill in July 2005 and the premier of the Western Cape [Ebrahim Rasool] announced that his medical bills would be met by the state. This was immensely popular with Captonians and when Jansen returned to perform he was always met with affection, love and respect."